Starts in Janurary--Some Space Still Available. Accepting Registrations NOW! Our Evening Course is an excellent way for the busy individual who works or has other obligations during the day to learn amazing floral design skills at night on a part time basis. 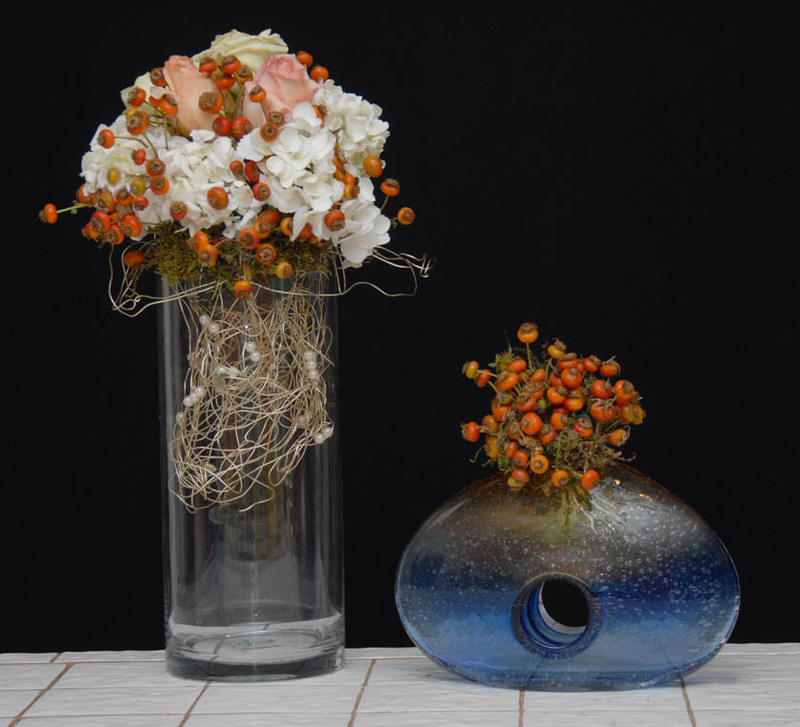 It starts quite simply, assuming no prior background, but also includes intermediate and advanced floral design techniques needed by people who are seeking a quality floral art course. This program provides great content and value........all in one course. Whether you want to learn floral art skills for professional use, or you simply want to be capable of doing floral designs that are as good as those made by professionals, this program will meet your needs. THIS IS ONE AMAZING COURSE!!!! Not interested in professional use? That is not a problem. 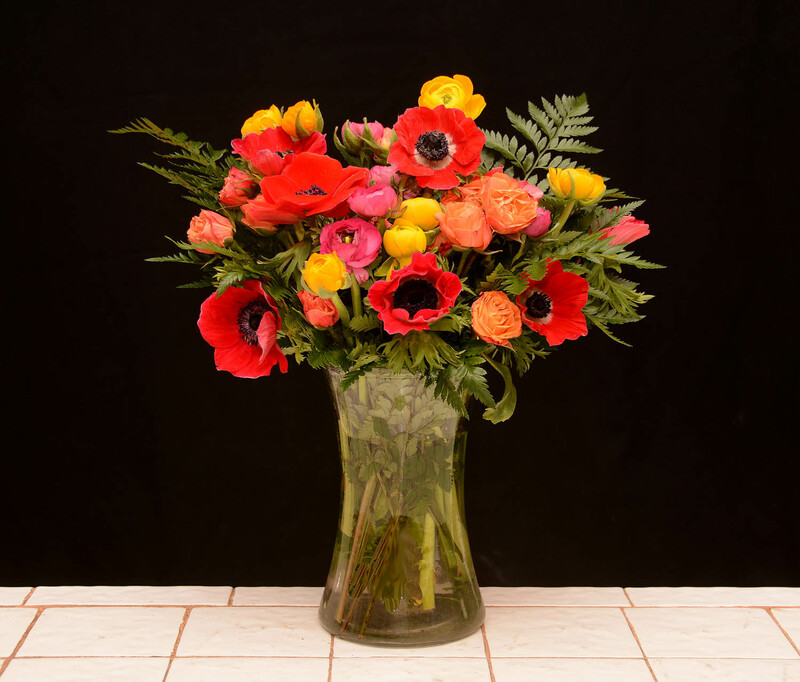 Our Evening Course In Floral Designing is also designed to be fun and recreational, even as it provides instruction that includes pro level skills. In other words, if you are going to learn floral art... do it right. Learn pro level tricks of the trade that will enable you to do really cool things, even if you are doing it for fun! People do take this course just for fun--while enjoying showing off amazing floral art skills to their family and friends. It's fun to have bragging rights as you show off your floral art! Thus whether your goal is to further a hobby or interest or to think in terms of actually using the information for profit, our Evening Course in Floral Designing provides elementary, intermediate & advanced floral designing in a one course format that is definitely designed to accommodate people with busy schedules. That is pretty amazing feat. But can it be done..to provide a Floral Art Course that starts very simply yet includes intermediate and advanced skills, (rather than making you come back over and over again for more and more design courses) yet still be able to make the program fun and recreational? Yes...It can. 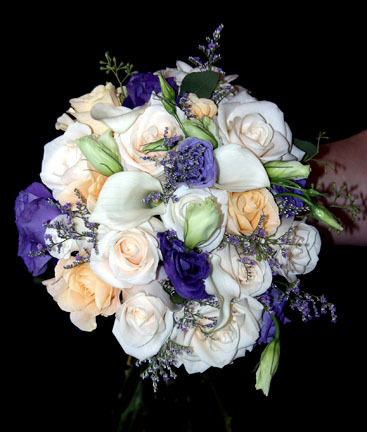 We have been doing this for some time and have the floral designing and teaching expertise to do it very, very well. The Evening Course assumes NO PRIOR Background. Even If you have never touched a flower in your life, you will still enjoy this program and impress your family and friends with all the neat things you bring home! The Evening Course is ideal for people who want to learn floral designing but must adapt their training needs to the demands of complex daily schedules. It is a thorough course, and yet allows you to learn even as you deal with your busy daily routine. Life can be stressful. The whole purpose of this course is to get out after work, calm down, reduce stress and enjoy flowers in a relaxed and pleasant atmosphere!! It is ideal for individuals who want to concentrate primarily upon floral designing, & get very strong floral art skills, in an efficient & enjoyable format. The Evening Class is ideal for someone who perhaps has never designed, but who simply loves flowers and would like to develop the skills to be able to design them easily and artistically. It is great for someone who perhaps has played a little with floral art, yet wants to take their skills to the next level. It is great for anyone seeking a very unique and fun workshop/artistic experience. It is an ideal way to earn a diploma in floral designing in a live, hands-on program. It is a wonderful way to get out, socialize and meet new people. It is ideal for folks seeking self enrichment. It is the course for folks from allied fields, such as bridal consultants, interior design, nurseries, landscape design, etc. who would like to add floral art products and services to the products and services they are already featuring. Want to moonlight? Looking for ways to supplement your income? Or perhaps you'd like to have a back up career (just in case!). The Evening Course in Floral Designing has the added benefit of providing professional level skills meaning that even if you are taking it for only for fun and relaxation, you are still learning skills need by professionals. It has been developed by people with graduate degrees in education, and is carefully paced so that you will still learn & have a great time!!! We are quite fussy about that. We want you to learn efficiently. We also want the learning experience to be amazing and fun. Twice a year--- In January and again in Oct. Tues and Thurs Evenings. While we do try to accommodate as many as we can, pre-registration is suggested-- and is easy. SO WHAT WILL I LEARN ? All kinds of great stuff..... You're gonna love this course! The designing in our Evening Program is quite varied and interesting. Students master a wide variety styles and techniques. Want to learn how to make underwater floral art? You will do it! Curious about how florists stylize those spiral wedding bouquets that are rounded with all those stems? You will master it! Multilevel floral art, designing in water, how to incorporate tropicals into your floral art, and a large range of designs and techniques are mastered. European and Eastern techniques as they enhance American Floral Approaches are presented. Students become familiar with a wide assortment of advanced concepts! Our approach is funky, contemporary and dynamic! Most importantly it's fun!!! BUT WAIT .... THERE'S MORE! In addition to learning an assortment of floral designs and techniques you will also learn important information about sources of supply, how to buy, the latest thinking about conditioning your flowers and profitable pricing. And although all of your flowers and materials are provided for you in the course, we will even provide you with a photo ID that will give you access to many wholesale floral outlets and give you names of contacts! The 12.5 Week Evening Course assumes no prior background, yet with our expert instruction, you'll be amazed at how much you learn in a very short time!!! The unique format of this course, starting simply, yet incorporating advanced technique gives our Evening Course students amazing value....We believe that it is the best program of its kind in the region. At each class session you will be designing, and you take home every floral design that you make... (not just some flowers used) at the end of the evening. 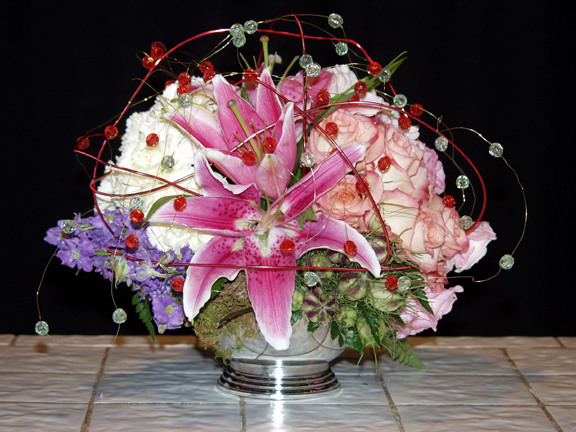 Many people who enjoy adult education for hobby, enrichment, or social purposes enjoy our Evening Course in Floral Art. Our Evening Course is a terrific way to get out, meet new people, reduce stress and have a great time, while learning practical useable floral skills! It is definitely a workshop program. 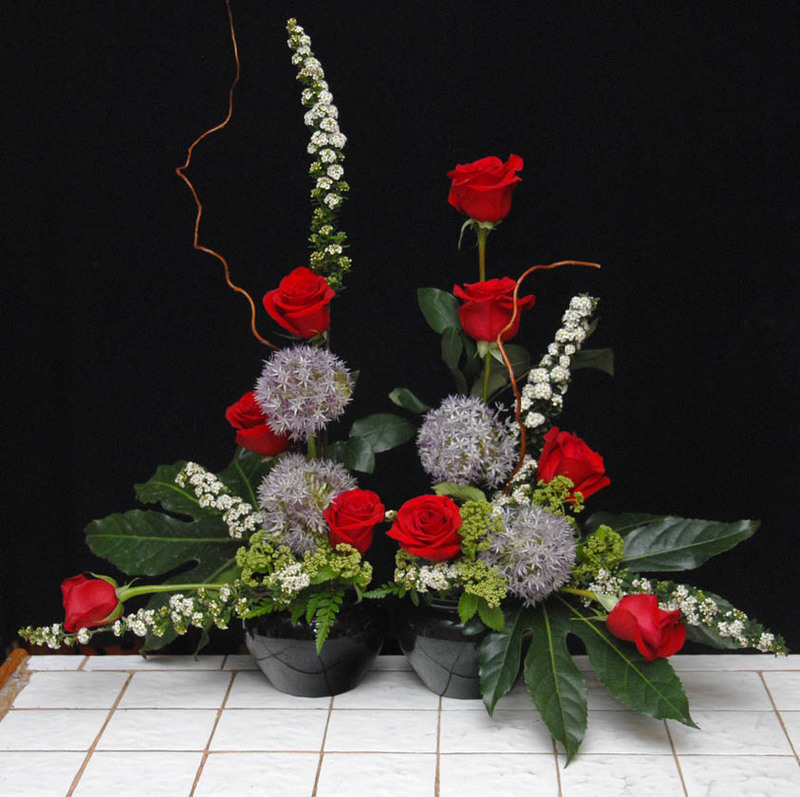 The primary emphasis in The Evening Course is on the hands-on workshop floral designing. True to the Rittner formula of giving value, you'll be designing with a variety of materials & taking home every floral design that you stylize--and impress your friends and family! And at Rittners Floral School, we have the specialized educational facility and resources, the educational know-how, the experience, and the motivation, to be able to assemble this kind of program that is both exceptional in content, and entertaining in presentation. An Evening Course@ Rittners Floral School? What's In it For Me?